The Honeywell Dolphin 7800hc is a rugged enterprise digital assistant (EDA) that delivers multi-purpose computing, communication, and data collection at desktop-like speed, driving increased productivity and patient safety. Making the Dolphin 7800hc excellent for demanding health care applications such as bedside point-of-care, specimen collection and inventory management. Health care professionals also need compact, lightweight devices that are designed for durability and usability. The easy-to-use Dolphin 7800hc enables single-handed operation, allowing health care professionals to multi-task seamlessly. Additionally, its compact design fits easily in most pockets without weighing down users. Excellent at resisting the harmful effects of harsh cleaning agents used commonly in health care environments, the Dolphin 7800hc is equipped with disinfectant-ready housings that deliver long-term reliability and lower repair costs when compared to devices made from traditional materials. 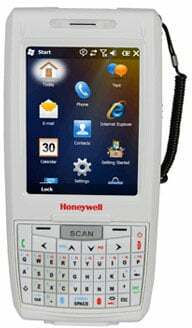 The Honeywell 7800L0N-00611XEH is also known as HSM-7800L0N-00611XEH	or 7800L0N00611XEH	.